On Wednesday, March 27th, the Mississippi Madawaska Land Trust (MMLT) will hold its Annual General Meeting at the Mississippi Valley Conservation Centre in Carleton Place, beginning at 6:30 p.m. It’s always an opportunity to get together with like-minded friends and listen to a great speaker as well as conduct the Land Trust’s legislated business. This year we are fortunate to have Diane Lepage as our keynote speaker on Moths of Eastern Ontario. Diane is currently president of the Ottawa Field Naturalist Club. Diane has been doing mothing since her early adulthood, but became even more interested after she got her first digital camera in 2007. She found a rich source of moths at Larose Forest near Limoges which gave her an opportunity to learn more about them. She will be discussing the diversity of moth species found in various parts of Eastern Ontario. You will learn all about the fascinating world of moths, primarily the macromoths, but she will also touch on micromoths and how she goes about finding them, as well as taxonomy, food plants, equipment, best times of year and locations to go mothing. 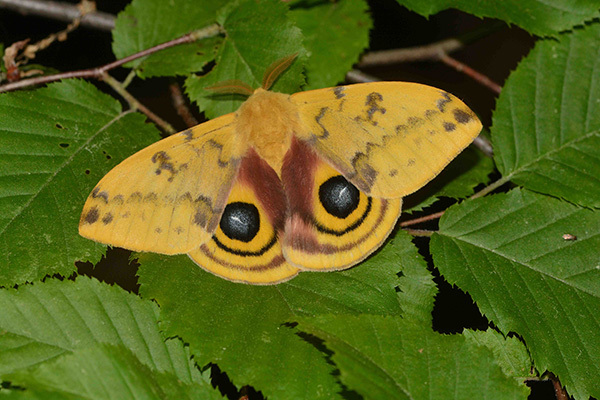 Diane has visited most of MMLT’s properties and spent the night at the Keddy Nature Reserve doing a moth inventory. She participated in a Kingston Field Naturalists’ Bioblitz and has done many inventories at Larose Forest close to her home. She is a soon to be retired Public Servant who will now have all the more time to follow her passion for photography and nature. MMLT is currently celebrating its 16th anniversary. It has legally protected 2,663 acres (1,078 hectares) of ecologically significant lands in eastern Ontario. While faithful to its core land conservation mission, MMLT encourages public use of these wilderness properties for the physical, mental, educational, and spiritual benefits arising out of nature experiences. The Mississippi Valley Conservation Centre is located at 10970 Highway 7 in Carleton Place. Doors will open at 6 p.m. and the meeting begins at 6:30 sharp. There will be a refreshment break following the AGM and Mme. Lepage’s presentation will begin at 7:30 pm. Entrance for MMLT members is free and the presentation is $10 for non-members.